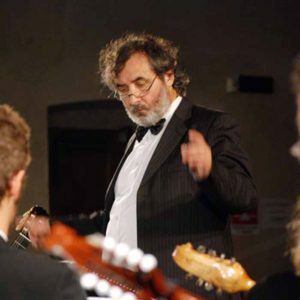 The Athenian Mandolinata orchestra “Nikolas Lavdas” invites the renowned Italian composer and conductor Claudio Mandonico, to present a new musical creation in a final concert, along with the participants of the seminar, through an intensiveone-week preparation course, following the standards of European model orchestras. 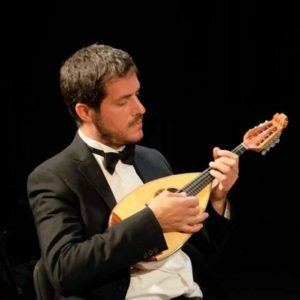 In addition, participants of the mandolin classes will have the opportunity to prepare a classical repertoire,getting a taste of the musical completeness that an orchestra rehearsal can offer, under the guidance of Giorgos Goumanakis. 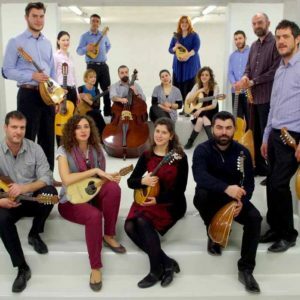 The workshop is aimed at, and offered for free to, students of music schools who play any of the mandolinata instruments (mandolin, mandola, mandolin, guitar).